The left in England needs a revolution in its politics, ideology and methods if it is to become fit for purpose. At present it is not ready to break with the politics of the post war left. Labourism, British Trotskyism and the British road to socialism maintain their grip over the political consciousness of the working class movement. Whilst a republican socialist party is urgently required, the twin pillars of British ‘reformism’ and British ‘ultra leftism’ are a barrier to the revolution in ideas we need to reshape the left into a political force for change. There are straws in the wind. 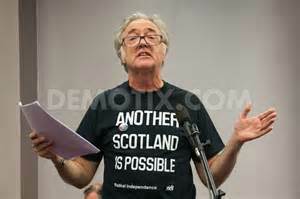 The Radical Independence Conference in Scotland has become one focal point for those breaking with the British road. The left in Scotland needs its own independent republican-internationalist party if it is not simply to follow behind the SNP. In England, Left Unity, which held its founding conference on 30 November, may offer a fresh start. But the dark shadow of previous failures such as the Socialist Labour Party and Respect hang over proceedings. In 1996 Arthur Scargill led the first attempt to create a new socialist party. The idea was to build a party out of the socialist traditions of the left wing of the Labour Party. The name ‘Socialist Labour Party’ fully expressed the party’s reformist politics. In Weekly Worker (Issue 188 24 April 1997) it was noted that “the Socialist Labour Party is not much more than a nostalgic trip back to a 1945 Labour government with public ownership, free health… full employment and constitutional monarchy”. In 2004 another attempt to build a socialist party was launched by former Labour MP George Galloway and the Socialist Workers Party (SWP). In forming Respect the SWP closed down the Socialist Alliance. The non-SWP minority in the Socialist Alliance, organising as the SA Democracy Platform, proposed at the founding conference that Respect adopt democratic, secular and republican demands. They proposed that the ‘R’ in Respect should stand for republicanism. This was voted down by the massed ranks of the SWP. Respect would remain firmly with the politics of Old Labour. On 30 November a significant minority of the left in England, without Scargill, the Socialist Party, Communist Party of Britain, the SWP, Galloway and the Labour left, agreed to set up a new party. The main danger facing the party was in following the same left Labour or old Labour road as the SLP and Respect, but without a charismatic MP or trade union leader at the helm. It was an opportunity to learn from previous mistakes and make republicanism and democracy one of the central core values and policies on the new party. Against the bench mark of republican democracy the conference was, on the face of it, another missed opportunity. Yet the battle for republicanism is far from lost, nor was the nature of the party finally set in stone. There are significant factors which point to a different outcome. First the crisis of world capitalism, the continuation of the neo-liberal offensive and the defeat suffered by New Labour cry out for a new kind of socialist politics. Second the ‘crisis of democracy’, brought to the fore by the Arab Spring and the Occupy movement, is growing. Third, the SWP, one of the main barriers to militant democracy and republicanism, is now undergoing its own ‘crisis of democracy’ with both its membership and credibility shrinking. Whilst the SWP has been absent from Left Unity, many ex-SWP members have been involved, for example through the International Socialist Network. These comrades are more open to democratic practices including the benefits of open platforms and factions. Fourth, Left Unity took a different approach to party democracy. It had a pre-party period in which Platforms were encouraged to openly display their politics on the official website. There is a still a culture on the left in which minority views are seen as ‘trouble’ and ‘divisive’ and liable to create splits. Ideas and debates are seen as a diversion from ‘action’. Nevertheless the existence of various platforms gave voice to a variety of strategies including the Republican Socialist Platform promoting a republican road to socialism. If we are to understand the future political direction of Left Unity we need to examine the struggle between platforms that took place before and during the conference. Six Platforms took up cudgels – Left Party Platform had 150 signatures, the Socialist Platform had 95 signatures, Republican Socialist Platform had 15 signatures, the Communist Platform had 10, the Class Struggle Platform had 10 and Platform Nine and Three Quarters had 10. This analysis will concentrate on the struggle between the four strategic platforms identified by historical references to 1945, 1917 and 1649. The ‘Class Struggle’ platform was not a strategic platform. It makes a case for militant action which could be attached to any of the four strategic platforms. Platform Nine and Three Quarters does not appear to have any strategic plan and may perhaps be considered to be the anti-strategy platform. The first four strategic platforms will be analysed in order of their submission, taking account of their political characteristics. In the beginning there were two Platforms. Everybody agrees that the relative positioning of these platforms is ‘right’ (LPP) and ‘left’ (SP) without using the term ‘right’ in a pejorative sense. Richard Seymour explains the right-left divide as “between those who favoured a ‘broad left party” and supporters of a “traditional hard Left organisation”. Socialist Resistance, one of the main backers of the Left Party Platform, says that “to various degrees the other platforms wanted to define the new party as an explicitly revolutionary one”. The Right is identified by various formulations such as a “Broad Left Party”, or a “united front party of democratic socialists and communists”, or a party that “unites reformists and revolutionaries” or a “workers party” or a “militant party of the working class” or a “Half Way House party”. The latter term implies some kind of transitional party formation. Comrade Seymour identifies the Left Party Platform with the ‘broad left’ party option. The LPP statement (“Left Party Platform dissolves”) confirms its “vision of a broad party of the left” The emphasis was on the fight against austerity. This Platform grew though a rapprochement between the Independent Socialist Network, formed in Trade Union and Socialist Coalition, and the CPGB. Nick Wrack of the ISN spoke at the Communist University and the Socialist Platform was endorsed by Weekly Worker. The ideological roots were in the Militant Tendency and the Socialist Party, which combines the idea of revolutionary Trotskyism with practical or day to day Labourism. Occasionally someone made a Freudian slip, included the Chair of the LU conference, by calling it the Socialist Party Platform. The Right-Left debate seemed to focus on a false polarisation between austerity and principles. For one side it was ‘austerity, austerity we have to fight austerity’ and on the other ‘principles, principles we must hang on to our principles’. This served to conceal differences over the kind of programme. A united front party needs a ‘Common Programme’ around which democratic socialists and communists can unite and act as a bridge between reform and revolution. In contrast a revolutionary communist or Trotskyist party needs a full ‘Revolutionary Programme’. The Socialist Platform (SP) appeared to be ambiguous. Weekly Worker, originally backing the Platform, later claimed it was “pretending to be Clause Four socialist or fudging the difference between left Labourism and socialism” (Weekly Worker 997 September 12). A dispute broke out within the SP with its CPGB supporters which led to a damaging row and then split followed by the launching of the Communist Platform, initiated by the CPGB. The Communist Platform took the mantle of the left from the Socialist Platform. It seems a strange hybrid. As Socialist Platform supporter Kathrine Brannan says “It is called a Communist Platform. No mention of communism is made in the points”. There is no mention of global capitalism, world revolution or world communism. But it does describe “a society based on the principle of ‘from each according to their abilities, to each according to their needs’”. This will be “a moneyless, classless, stateless society”. The Republican Socialist Platform was the last Platform to enter the fray. The platform stood for a united front of social democrats and communists to form a republican socialist party. In Scotland republican socialist ideas have gained real support on the left. The previous week three hundred attended a meeting in one of the sessions of the Radical Independence Conference to hear republican socialist speakers from Ireland, England and Scotland. But in England republicanism hardly exists. It was not referenced in any of the other platforms. The other Left Unity platforms were identified with historical events – 1945 and 1917-20. The Republican Socialists were the 1649’ers. The conference laughed at the first mention of 1649. But when the events of England’s revolution were briefly recounted the conference warmed to the theme culminating in the reference to the Wigan Diggers and ending with some applause. Third, the idea of a Social Republic was put on the table for future discussion. There was no time to make the case so this is the next stage in the argument. An RSP resolution to amend the aims clause of Left Unity to include the “Social Republic” was ruled out of order. It is still to be debated and voted on. The left in England has traditionally been divided between reformism and ultra leftism. Left Unity became a magnet for political refugees from this struggle. This brought to one place the old traditions with its varieties and variations. Initially this would not rise above a confrontation between the two tendencies, which have dominated the post war history of the British left. However, democracy provides the best conditions for the conflict between reformism and ultra leftism to bring new politics into the open. At the beginning of the conference four strategic platforms lined up from right to left. The right should be identified by its commitment either to a broad left or to a united front party. The left stood for a revolutionary party. The means the Left Party Platform and Republican Socialists should be grouped together as the ‘Right’. The Socialist Platform and Communist Platform were linked as the ‘Left’. However the Republican Socialists stood to the left of the Left Party Platform and the Communist Platform stood to the left of the Socialist Platform. Hence the positioning of the four strategic Platforms should be Left Party Platform (Right), Republican Socialist (Centre Right), the Socialist Platform (Centre Left), and the Communist Platform (Left), again without any pejorative connotations in this Right/Left characterisation. The Left Party Platform is a ‘reformist’ platform. It should be taken as an objective fact not an insult. John Penney, one of its supporters, describes the project as “radical democratic socialist reformist”. With a Marxist background he understands the idea of reformism and is unapologetic. He thinks reformist politics is necessary in the interests of mobilising the working class to fight austerity. This up-front honesty is preferable to Marxists trying to conceal or disguise reformist politics. The essence of reformism is the belief in the capitalist state as the means of radical change. In the British context it is the belief that the British Crown, its laws and institutions, can be used to advance the interests of the working class. The social evils of capitalism can thus be overcome by laws passed through the constitutional mechanisms of the Crown-in-Parliament and implemented under the Crown powers within the constitution of the United Kingdom of Great Britain and Northern Ireland. The British Labour Party and the British road to socialism embody reformist ideology. The 1945 Labour government is presented as its highest achievement. Statement Two, passed by the Left Unity conference, notes “the Ken Loach appeal launched in association with his film ‘The Spirit of 45’ and calling for a new left party” and that “in 1945 the Labour Party pledged to put an end to the social evils of disease, idleness (mass unemployment), ignorance, squalor (slum housing) and want (poverty) and, despite the legacy of wartime debts, achieved significant reforms”. The statement goes on to say that “as a result of over 30 years of so-called free-market policies, culminating in a chronic economic and financial crisis since 2007, all those evils have returned. Our most urgent task is to defend and reclaim the gains won by the labour movement during more than a century of struggles”. The Social Monarchy was created out of the class struggle during and after the Second World War. Returning the country to this earlier 1940’s social contract may seem possible and practical. The problem is that the political conditions are radically different from those at the end of a world war. Communism is not a utopia. It is a practical plan derived from scientific analysis about replacing global capitalism with world communism through the struggle for self-liberation by the working class of the world. The Communist Platform in Left Unity is ultra left or utopian not because it argues for communism but because of the purpose of the platform, the political aims behind it and the context in which it is proposed. The Communist Platform does not relate in any way to the state of working class consciousness or the struggle against austerity. Its supporters put abstract principles, ‘maximalism’ and ‘propagandism’ in the way of left unity and the needs of the militant section of the working class to unite for political action. Its supporters bask in self congratulation as the most extreme, the hardest and most principled. John Penney, supporter of the Left Party Platform, hints at the problem of ultra left sectarianism when he attacks those who are “in reality merely engaging in a completely short term cynical political raid” and who will disrupt Left Unity “by endless revolutionary posturing and sloganising”. They are, he says, “inveterate splitters and wreckers”. He has a point which is ruined because he doesn’t identify any platform or group or provide any evidence. It then becomes little more than general anti-leftist rhetoric, hardly distinguishable from the demagogy of Kinnock during the 1980s purge of the Labour Party. Left wing communism, or ultra leftism, or “left wing childishness” as Lenin famously called it, is distinct from revolutionary communism. It was linked to the individualism and egotism of the petty bourgeois or declassed intellectual who rages against capitalism. These ultra radicals like to pose as the most extreme and morally superior people. They have no truck with compromises. Principles are all. The messy business of working class struggle with its inevitable compromises and alliances must be avoided. “We are communists”, write the Blanquist communards in their manifesto, “because we want to attain our goal without stopping at intermediate stations (or half way houses), without compromises, which only postpones the day of victory and prolong the period of slavery”. Lenin is quoting Engels article about the “Programme of the Blanquist communards” in “Left wing communism an infantile disorder” (1920). The Blanquists are idealists because they think skipping over the real world in their heads is enough to settle the matter. All compromises and stages can be avoided by will power. “What childish innocence” says Lenin. Like anarchism, ultra leftism is usually too unstable to form a party. It often exists as a trend, or line of argument, within organisations such as the Bolshevik party which were formally Marxist, and given strength by the weakness and defeats suffered by the working class. The purpose of the Communist Platform is not to develop a militant programme to be put before the working class but to make general propaganda for communism. The aim is to inject a theory of communism into Left Unity and pose as the principled upholder of a vision of true communism. “The starting point is neither the current concerns (of militant workers) nor existing consciousness. No it is Marxist theory…” (Weekly Worker 975 29 August 2013). The Weekly Worker headline (No. 977 12 September) says “Principles first, then the masses”. But the Platform does not connect to the masses and confines itself to the principles of the maximum programme. Jack Conrad explains “the maximum programme we are advocating is based on three principles” because Left Unity “needs a vision of communism”. (Weekly Worker 975). He continues “we view the Socialist Platform (later the Communist Platform) as providing the main planks of a maximum programme.” The method behind this is to “strengthen, clarify and bring to the fore “those elements of the Socialist Platform that deal with the maximum programme – specifically a vision of “full communism” (Nick Rogers, Weekly Worker 986, November 14). ‘Maximalism’ means setting the maximum programme against the minimum programme of reforms. It borrows from anarchism the denial of any transitional steps such as a workers state and demands instead the abolition of the state. In contrast, communist politics soberly relates to the actual state of class consciousness and is thus connects to the class struggle through the minimum or transitional programme. ‘Maximalism’ is connected with ‘propagandism’. Instead of a working class party engaged in political struggle (for which a minimum or transitional programme is essential) we substitute a propaganda group which confines itself to making propaganda for the big idea of true communism. The group or sect makes maximalist propaganda and waits until the working class catches up. All that is needed is considerable patience. The ‘progagandist’ group has no need for all the messy business of class struggle with its manoeuvres and compromises. This goes hand in glove with the rejection of the united front. The united front involves building the unity of the working class which necessitates being able to make compromises. “No compromises” is the classic ultra left slogan. The Communist Platform sets up its maximum programme in opposition to the united front and as an alternative to it. “A common accusation coming from supporters of the LPP is that the Socialist (now Communist) Platform is set on excluding people. If we are honest, that contains an element of truth.” (Weekly Worker 975). The element of truth is in the logic of the politics. The maximum programme is for communists alone. In summary the Communist Platform puts forward the aim of communism but falls silent on the need to build a communist international. It then presents these ideas with the methods of Left wing communism – emphasis on high principles, no compromises, posing as the most extreme left – and linking this with maximalism and abstract propagandism. It does not connect with the current state of mass consciousness and the class struggle. It opposes the idea of a united front of democratic socialists and communists. Ken Loach’s ‘manifesto’ which called the Left Unity initiative into being was not a call for communists to form a communist party. It was exactly what it said on the tin – a call for a left unity party – bringing together democratic socialists and communists. Nevertheless democratic methods required those assembled as founding members the right to consider other options. Two platforms, the Right and Centre Right, are identified as supporting a broad left party or a united front party. The possibility that a conference of working class militants based largely in England, many of whom are not communists, could or would set up a new Communist International was, to say the least, unrealistic. Nevertheless it was right that the issue was put to the vote. The two left platforms, the Socialist Platform and the Communist Platform, support the aim of setting up a revolutionary party. Both Platforms say “The [Left Unity] Party is a socialist party”. There is no clarification as to whether a ‘socialist party’ is the same as a ‘communist party’. There is no recognition of the need for a world party or reference made to the Third or Fourth Internationals. The Communist Platform is based on the idea of the national communist party or the national Marxist party of Great Britain. This fits with the Stalinist idea of communism in one country. It seems that neither left platform understands the necessity for a communist international or a world party. Alternatively this has been ignored because it would undermine what is in essence a propaganda campaign for a national Marxist party not a practical plan to set up a new International. The LU conference decided the main issue between the two major platforms on the right (LPP) and the left (SP). Ken Loach’s call for a broad left, united front party was backed by the conference voting decisively for the Left Party Platform and against the Socialist Platform. The Left Party Platform gained about three quarters of the votes and the SP one quarter. There were 295 votes for the Left Party Platform, 101 against and 12 abstentions. The Socialist Platform won 122 votes with 216 against and 28 abstentions. The idea that Left Unity might become the third revolutionary Marxist party alongside the SWP and SP was clearly and decisively rejected. Nevertheless the Socialist Platform did have some achievements to its credit. First, it helped establish the idea of platforms as an organised way to conduct democratic debate. Second, the ambiguities of the Socialist Platform helped convince the CPGB to join Left Unity in support of this platform. Third, it helped pull the LPP to more fully embrace socialism. Consequently we have ended up in a “radical socialist party” and not simply a “radical party”. The two minor platforms, Communist Platform and the Republican Socialist Platform, had different outcomes. The Communist Platform was defeated. It did not gain any significant support outside the ranks of a few CPGB supporters. It had less support than the previously ill-fated Campaign for a Marxist Party. “Some will say the Communist Platform is madness” declared John Bridge in his speech proposing the platform. Richard Seymour thought this the most bizarre moment of the whole day, not least because it echoes Lenin’s verdict on ultra leftism. But of course John added the corrective “We know better” which to a wider audience sounds suspiciously like the attitude of a cult or sect for whom the truth has been revealed. It was a defiant speech delivered as if from the dock of a capitalist court to a slightly bemused audience. Weekly Worker reported that John was “not so upbeat about his first intervention at the conference on behalf of the CP. “I fluffed it”, he admitted. But John is a good speaker who makes rational arguments. So this cannot simply be dismissed as a bad day at the office. Trying to explain why left wing communism is neither madness nor sectarian (“sectarians will describe it (communism) as sectarian”.) is more than difficult. Weekly Worker should not shoot its messenger but subject its message to self criticism. 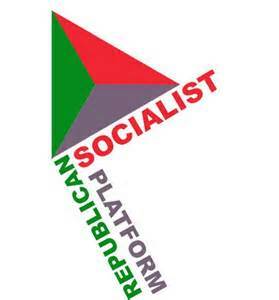 The Republican Socialist Platform retreated, after the organisers’ ruling on the ‘social republic’. The speech for the platform received a positive response. This suggests our platform has legs even it was not yet ready to walk. Should the platform have changed tactics and let itself be voted on? That would have been a mistake. The RSP would have been voted down. By withdrawing the Platform the founding conference was not allowed to vote against republicanism. Left Unity conference thus differed from the launch of Respect in 2004 when the massed ranks of the SWP voted overwhelmingly against republicanism. This time the SWP was absent and in crisis. The conference applauded the republican achievements of 1649 and the radical history of the Levellers and the Diggers and the Republican Socialist Platform lives on to fight another day. After conference, Left Unity is described on its website as “a new Radical political party of the Left”. John Penney called it a “radical democratic socialist party”. Later he says it has a “line of march” which is “a radical democratic socialist reformist one”. Socialist Resistance, which strongly backed the LPP, defines Left Unity as a “radical socialist party” with strong positions on ecology and feminism”. Workers Power refers to it as a “radical alternative to austerity”. Radical aims are defined as socialist, feminist, environmentalist and opposition to all forms of discrimination. Overall, Left Unity conference was a move in the right direction. It brought together a small but significant section of the left in England. The majority remain outside in the SWP, Socialist Party, Communist Party of Britain and the Labour left. TUSC and Respect are rival Labourite parties. Is the glass is half full or half empty? In the face of the immense difficulties and an overcrowded agenda, half way is a commendable achievement. Left Unity is not a completed project. It is no more than a step in the right direction. The next stage will have to deal with more strategic issues not least the Scottish referendum in September. A ‘revolution’ in left politics in England has just begun. If the ‘revolution’ now comes to a halt Left Unity will be another dead-end. The fate of the Socialist Labour Party, the Socialist Alliance, Respect and TUSC is the spectre which haunts Left Unity. But so far so good – socialism had been endorsed and republicanism has avoided defeat. Where is the website of the Republican Socialist Alliance? How can interested citizens contact Steve Freeman?